A monument commemorates explorer John Oxley. John Oxley crossed Bowen`s Rivulet (Cox`s Creek) approximately 3 kilometres southwest of this spot on the 27th August 1818 and travelled east to Port Macquarie. Note : As at 20 July 2016 it has been reported to us that the plaque on the monument has been stolen. This stone was erected to honour him and remind us of the courage of all explorers and pioneers. "The tracks of those vanishing horsemen. On a path covered over by time. Still their echoes live on here... In the beat of my rhyme". 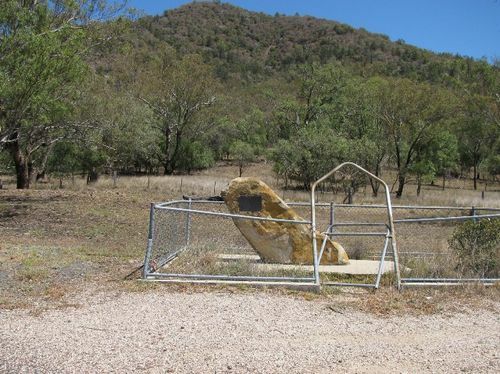 Erected by Tambar Springs APEX. Stone & Plaque Gunnedah Shire Council. Citation from song by Eric Watson.